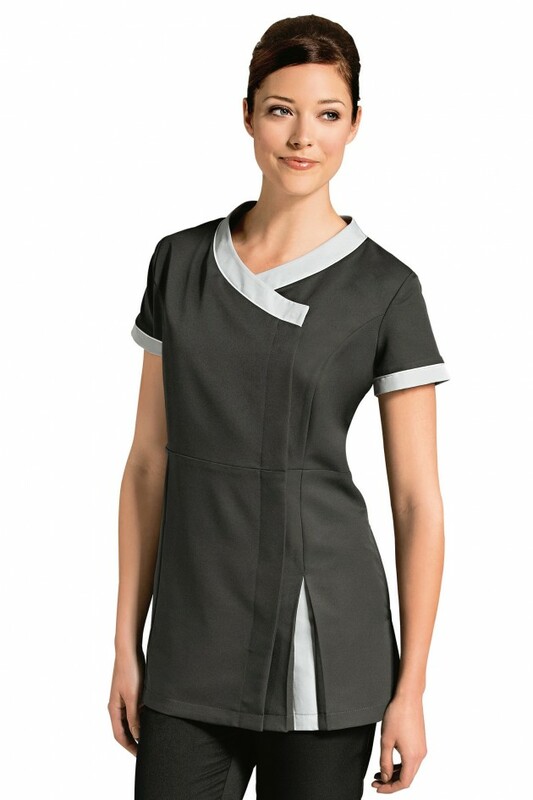 Tunic with light grey trim. White piping on collar. Concealed press stud fastening. Side pockets. Short sleeves. Front and back inverted pleats. Back of armholes with comfort pleats, in COOLMAX® knit fabric. Registered design.